There are just some properties that shouldn't be made into movies. 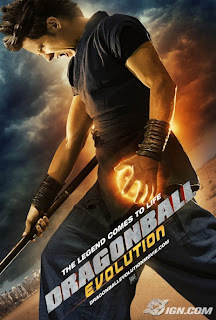 Case in point, Dragonball Evolution. You need only look at the source material to know that it's gonna be a bad idea to convert it into a movie. The Dragonball canon is so rich and full of depth, that an oversimplified and watered down version would just not work. And not to mention we have a bunch of caucasian actors playing what seemingly are asian-ish (I think at least) characters... way to go Fox! The action was horrible, the dialogue was heinous, and the acting was a joke. A disaster. Everyone's acting was over-the-top and cartoony... for their sake, I hope it was purposely done that way. The only credit I can give this movie is that I didn't fall asleep through it... sometimes I surprise myself. And why was it called Evolution anyways? The only thing that evolved was my boredom. 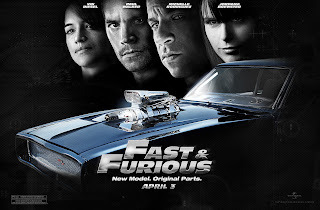 That was the tagline used to promote the latest installment in the Fast & Furious series. This time around, they've gathered up and dusted off the cast from the original movie (seriously, what good have either 4 done in the past few years?). I enjoyed this movie more than I had any right to. I wanted a high action, low-thinking, adrenaline filled cinematic, and I received it. No, I did not go in with any real expectations. Knowing that the movie only scored 28% on Rotten Tomatoes, I knew I could not expect much. Yet after watching the movie, I can't help but disagree with at least those 22% of reviews... it deserved 50% I think. I mean, this is a F&F movie; you can't go in expecting an intricate plot or Oscar-worthy performances. It's lowbrow entertainment, and it succeeds at that level. For an hour and a half, I turned my brain off, and was thoroughly entertained. 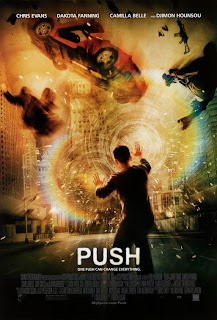 When Push originally came out this past winter, I dismissed it as this year's Jumper (a huge dud from last year's winter). In a way, this movie is features the X-Men's mutants, except that they don't call themselves mutants. Depending on what type of power they had, they each had their own gimmicky sort of class names, ie. sniffers, watchers, movers, and so forth (someone actually compiled a list on Wikipedia). In short, this movie is about a bunch of "mutants" chasing after a briefcase. The briefcase contains some sort of serum that's supposed to enhance the mutants, but could be lethal as well. Well, whatever the case, it's not really that important, it's all just a MacGuffin. The film was helmed by Paul McGuigan who did Lucky Number Slevin and Wicker Park, both of which I enjoyed, so it wasn't much of a surprise that I enjoyed this (even if marginally). HOWEVER, of these three, this one would be the least liked. If I had to give it a number, it'd be 6 out 10. I couldn't really care for the plot and the acting was passable, but what I enjoyed was the gritty visual style and shaky-cam filming. It's almost like watching a Bourne-movie about people with powers. Combined with filming in Hong Kong, with its bright lights and neon backgrounds, the style works great and helps to really give it a visceral edge. Plotwise, the final act of the movie suffers due to the convoluted plot that our heroes scheme together. Oh yah and I don't like Dakota Fanning.